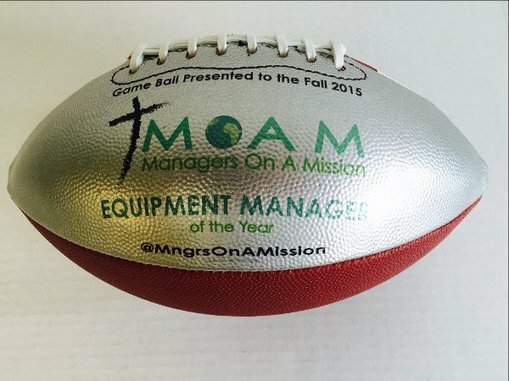 MOAM is excited to announce the following 3 finalists for the 3rd Annual Equipment Director of the Year Game Ball. Preston "Stick" Rogers serves as the Director of Football Equipment at Mississippi State. Stick is the Bulldogs' first-year director of football equipment and helps oversee every aspect of the program. Rogers worked under longtime MSU equipment manager Phil Silva for nine years beginning during the Sylvester Croom era in 2005. Daniel Reeves joined the University of Houston Department of Intercollegiate Athletics as an assistant athletics director for equipment operations in August 2014. He manages the daily workings with Nike and supervises a staff that handles all 17 intercollegiate sports at Houston. Prior to Houston, Reeves spent the last three seasons as an assistant football equipment manager at Arkansas. Ken Crain serves as the equipment manager for the Rebel football team. Crain joined the Ole Miss athletics department in June of 1997. Crain has been around football since he was 5 years old and served as a student manager for 3 years.